Today I would like to share with you a great information, that will probably change your entertainment life. A lot of entertainment websites (mostly media streaming or TV channels) as Netflix, MTV, Fox, NBC, VEVO, Disney, Sky for example, are blocked for users that are not located in the hometown country. In some countries it maybe very boring to have an apple TV for example, as almost everything is blocked, unfortunately internet is not a free place anymore, as 10 years ago. But there's a very simple way to access blocked websites, if you have a Smart DNS, you may unblockwebsite in a very easy way. 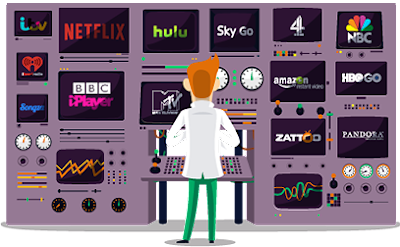 So, if you are fan of movies, TV series, comedies, sports and whatever you can watch on TV or on media streaming websites, you may check this amazing solution to access this worldwide content with no restrictions!